I’m often asked “What is Self Compassion?” Well, to make it really simple, it’s being kind to yourself. It’s interesting how business works, it seems clients’ always come in clusters with similar challenges. With each group of clients I find there is a message for me, something pertinent that I need to learn myself. It’s a little like the universe holds up a mirror for me.. as long as I’m prepared to listen. 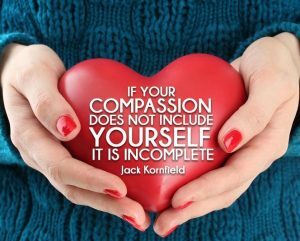 The last month almost all of my clients have been tremendously hard on themselves and with each client I’ve had a conversation about self compassion. The ability to recognise the challenges, pain and chaos in your life, accept it as it is and respect yourself and the way you are dealing with it…. or not dealing with it, and being kind to yourself regardless. Kristen Neff defines three core elements of self compassion. The first is to recognise your own thoughts and emotions, let’s call that mindfulness. Then, try to let go of judging thoughts and emotions as right or wrong. The second is to identify that all humans invariably stuff up at some point. You are definitely not alone in feeling like you’re not doing well. Finally, it’s applying a little kindness to yourself. Find a way that you can be understanding and cut yourself some slack in the moment. Self compassion is looking at a messy kitchen at the end of a long day and being able to walk away. You could say to yourself, “It’s OK, I’ve done heaps today, I’ve been under lots of pressure. Actually, I need a rest right now (rather than starting to clean up) and that makes me a normal person.” When you give yourself that freedom and space it means there is no room for guilt. With self compassion there’s no space to beat yourself up and you can move forward in the kindest possible way. Imagine all day long you had someone following you around pointing out your failures or the areas where you didn’t excel. It wouldn’t’ take long to get down on yourself, to feel like a failure and to step back from trying. Well, reality check, that’s exactly what most people do. They take their negativity bias and apply it to themselves constantly, then wonder why they feel depressed. Self Compassion is a much better, and much faster way to move forward. I’m sure there is a little room in your life and your day to be kind to yourself. If you’re been thinking “What is Self Compassion?” now you know. If it sounds like a challenging principle, try think of what your best friend would say, then take their kind words and make them yours. Still struggling, think of the loveliest dog you know. Now, imagine how they would love you, regardless of what you’ve done or not done that day. That’s the type of kindness we’re looking to apply to ourselves. 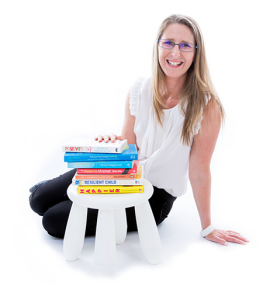 There will always be periods in your life to challenge yourself and push yourself, self compassion is really about recognising the times you need to consolidate and be kind and put that growth and ambition to the side for another day. Interested, you may also like my article about Santosha – A theory of keeping life in balance.